The company was founded by Steve Weathers who had a 12-year background owning a bus company that did public transit contracts, and Pat Weathers who spent 15 years in the hotel industry (catering, corporate and group sales) for which she was awarded the Director of Sales of the Year for Radisson Hotels. SEAT Planners was incorporated June 7, 1988, as a California Subchapter S Corporation with 100 percent of the stock owned by the Weathers family. Veronica Sosa (daughter and employee since the beginning) is the Executive Vice President and COO. There are currently no plans for any change in ownership. Passenger transportation management is our sole focus and we own no other companies. Overall, we have transported over 11,500,000 passengers in our 30 years of business. We did it all one at a time by adding a personal element to an otherwise group endeavor. The headquarters office is in San Diego, California. There is also an office in Houston, Texas. Who are the planners at SEAT Planners? The team is composed of professionals experienced in group transportation. We use a mentoring system whereby each employee is not far from another with more or different experience. This keeps all situations smoothly handled as they arise. Operations Managers spend a minimum of one year working alongside senior managers before getting assigned their own shuttle/transportation program. The average full-time employee has worked for us 11 years. Many of the seasonal staff have up to 20 years of experience working SEAT Planners accounts. How many employees are SEAT Planners? There are 14 full-time employees in our two offices. An additional 15 part-time employees work many programs and are senior coordinators. Overall, last year we had 75 seasonal employees. SEAT Planners does not use independent contract employees and all employees are covered by workers’ compensation insurance, a further benefit to our clients. Does SEAT Planners specialize in any particular kind or size of group? We have handled every kind and size of group, meeting, convention, assembly or congress one can imagine. The smallest accounts have been single car arrangements such as transporting the former leader of a country, CEOs of Fortune 500 companies, Pulitzer Prize winners and celebrated artists. We handled one Republican National Convention, an Olympic Torch relay, backstage talent transfers, bar and bat mitzvahs, remote weddings, grand openings, world premier movies and more. Professional and trade associations by the score have used our service with anywhere from 1,000 guests to more than 100,000 have used SEAT Planners over and over again. Continuing Medical Education conferences are a specialty. 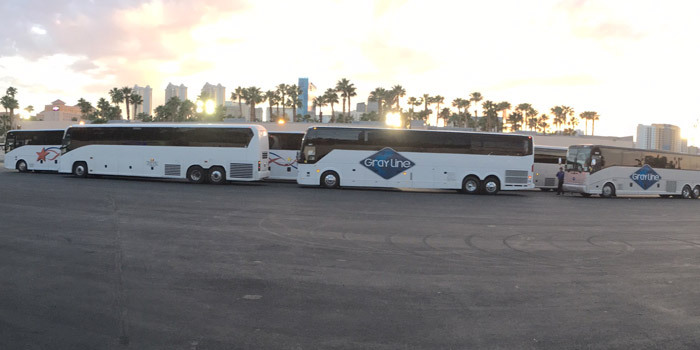 With just one professional organization we have transported over 1.2 million of their guests in the 20 years we have been their transportation managers. Where does SEAT Planners provide their management? We have served our clients in 48 cities in 23 states and three provinces throughout North America. Because we are planners, any locale is available for our services. In the case of a new venue or city, our team will visit the site to thoroughly research and measure it. Then we will develop the plans that bring the best value while anticipating every detail. Does SEAT Planners own any of the vehicle fleet they use? We are a shuttle and transportation management company and do not own any vehicles. We are the planners who determine which vehicle and subcontracted company would work best for our clients. We vet their policies, performance and insurance. We arrange and charter what’s needed, prepare the site routes and platforms, provide instructions and maps, distribute driver goodwill in the form of both cash gratuities and refreshments as well as handling the deposits and final billing. Some large programs may require up to 10 different transportation suppliers. Other programs only two or three. Getting diverse companies organized and working together is the magic of our planning and execution. What kind of insurance does SEAT Planners carry? SEAT Planners carries a full complement of insurance including commercial, hired autos, automobile, professional errors and omissions, and general liability. Coverages exceed $10 million in aggregate. Each transportation subcontractor provides a certificate of insurance listing the client as additionally insured. How is SEAT Planners green? For over 10 years, we have been partners with The Conservation Fund to plant trees in protected parks and forests to mitigate the CO2 produced by the shuttle buses. For more green information please see our Green Practices page. In addition to those practices, just remember that group transportation is the best practice for cutting environmental CO2 emissions. Are SEAT Planners expenses fixed? No two groups are alike. No two cities are alike. No program is the same year to year. Depending on the group and the level of service desired by the meeting planner, prices can be cut-rate or first-rate. One corporate client intending to impress their top customers will want short wait times, fewer shuttle stops, closer hotels served and more staffing. Another client whose attendees have to pay their own way will want to bring value to the shuttle costs by eliminating midday service, minimizing staff, having more hotels on fewer routes and more hotels within walking distance of the venue. Understanding what’s important to the client is paramount. There are many ways of doing the same thing so we start by asking questions and then listen in order to deliver the plan and budget suitable for the group. If things need tweaking, then we happily rework and redesign to get to the client’s desired goal. When it comes to group transportation; there is no one way to do it. We always appreciate the opportunity to discuss our bids and revise them as necessary to match the client’s vision and budget. Does SEAT Planners provide sponsorship opportunities? Of course. Sponsorship is an important part of financing meetings and conventions. We work with our clients and their sponsors to provide eye-popping opportunities to market their brand. Our pros will help come up with a sponsorship program just right for your group. How do you make a difference in citywide conventions? Hotel overflow shuttle programs link the convention hotels with the convention center to conveniently and efficiently get the attendees to and from their meeting. SEAT Planners works with the housing staff on which hotels should be serviced, identifying hotels that are less economical to shuttle compared to hotels more suited to be on a shuttle route. Selecting a city for a convention requires many considerations and the one we can help with is providing historic information about what has worked regarding attendee transport and what hasn’t. We help with budgeting too. Can SEAT Planners deal with other issues such as parking, shared ride, taxis and traffic? Integral to managing a transportation program is considering all factors. We have closed streets, hired police, secured permits, developed transportation plans for government agencies, done freeway warning signs and more. Off-site parking lot shuttles are another way we have helped the event run smoothly. Developing a plan for shared ride vehicles such as taxis and Uber/Lyft as well as POV’s (personally operated vehicles) is essential to assuring that all the attendees are accommodated. Can SEAT Planners do airport arrivals and departures? From the simplest meet and greet and transport of a featured speaker to the several thousand employees attending a meeting, SEAT Planners has extensive experience with airport transfers. We can also provide per capita transfers for guests to pay on their own. What do you do to accommodate persons with a disability? Besides being the law, it is good business and socially responsible to care for those who need additional help getting around. And disability isn’t just wheelchair consideration. Mobility issues can also be just as simple as saving the front seat of the bus for the guest who uses a cane. We are always prepared to help people get around. We’ve also operated golf carts to help get people from one end of a venue to another. We have used buses with wheelchair lifts as well as specially designed vans that accommodate wheelchairs. For two of our regular accounts, we have operated a fleet of accessible vehicles complete with a reservations and dispatch system.